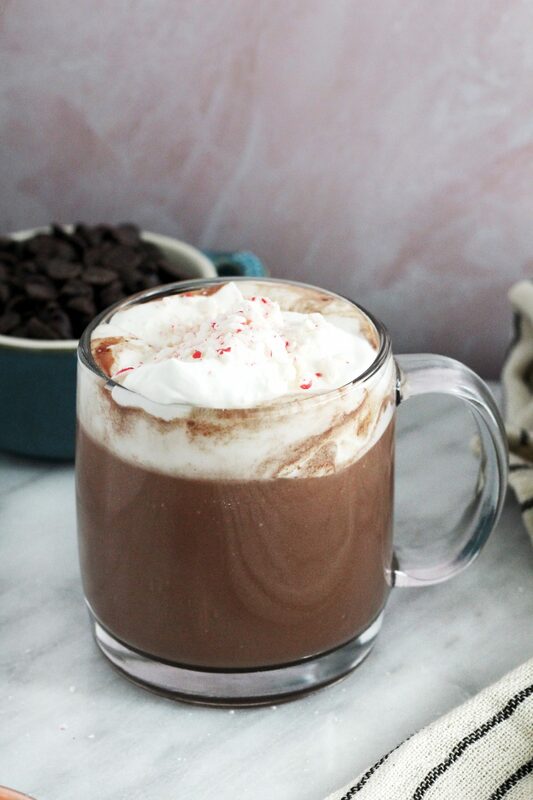 Sous Vide Spiked Hot Chocolate is a fun spin on a winter favorite. 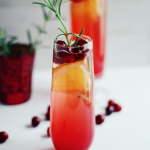 Think outside the sous vide box and create a delicious, creamy cocktail. This post is brought to you in collaboration with Cuisine Solutions. So, yes, I’m pretty obsessed with my sous vide. Obsessed enough to make spiked hot chocolate with it. I first started sous vide cooking when I worked at a Michelin-star restaurant in New York City 12 years ago. It was fairly new and innovative then, and definitely not as accessible as it is now to do at home. I watched in complete awe as the chefs in the restaurant vacuum-sealed and sous vide cooked meat, fish, vegetables, fruit, and just about anything else. Now I can do it at home, using an App on my smartphone. Crazy. So, first: what is sous vide and how do you do it? A reliable cooker. I highly recommend this one, which connects to your phone via Bluetooth and has a great App. A vacuum sealing system and bags. A little research. If sous vide cooking is completely new to you, take a little time to research about it. Be prepared when it comes to what you want to cook, whether it’s a sous vide steak or a spiked hot chocolate. 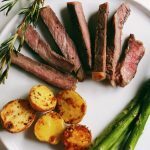 Sous vide cooking does take a little research in regards to temperatures, cooking times, and best practices. But it’s worth it. To keep up with all that’s new in the world of sous vide and to do my own research, I love reading Cuisine Solutions Sous-Vide Magazine. 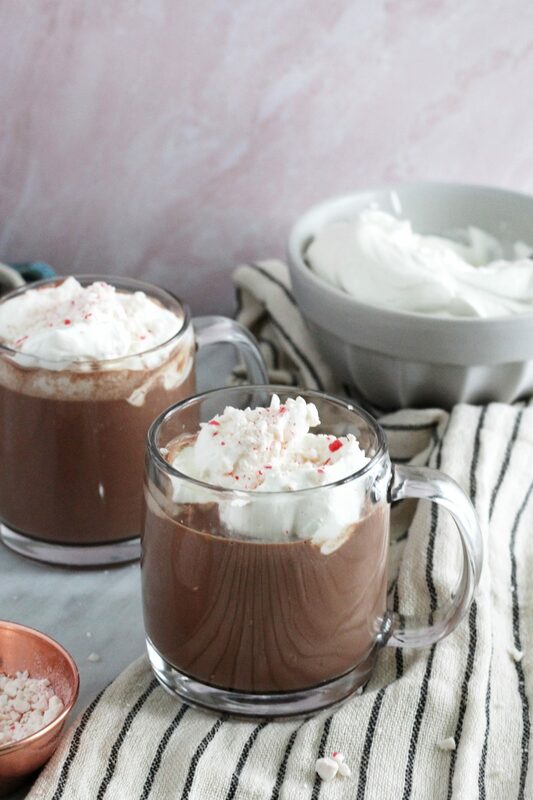 In fact, that’s where this Sous Vide Spiked Hot Chocolate recipe comes from! This magazine is stunning—filled with beautiful photography, incredible chefs, and informative tips. It also was what inspired me to try sous vide cocktails, which I never even thought of doing before. And with that, let’s learn how to make some spiked hot chocolate. 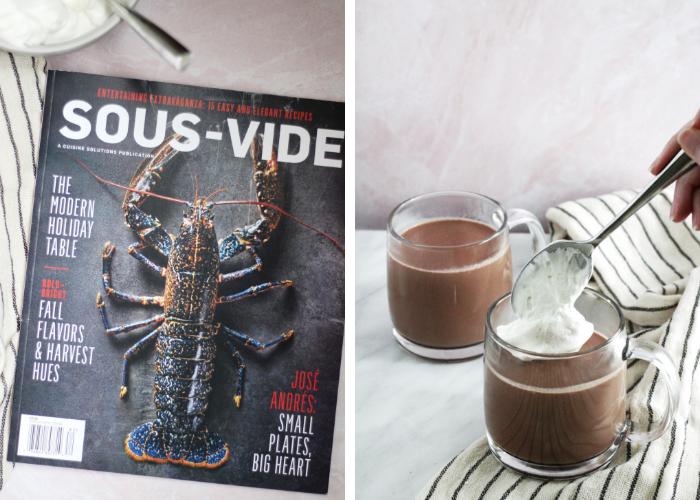 So why go through all the trouble of making this spiked hot chocolate sous vide? Sous vide allows for even cooking at low temperatures, which ensures that the chocolate does not burn or scorch, but melts slowly and evenly. 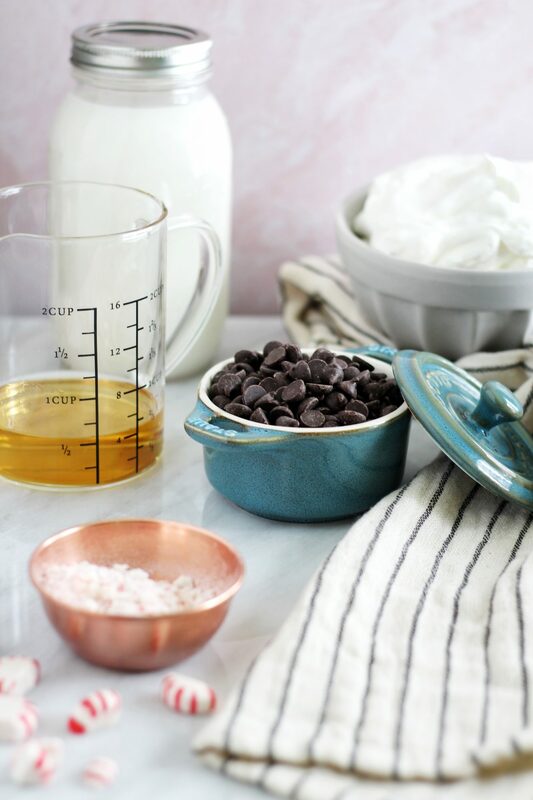 This creates a thick, luscious hot chocolate that is ultra-creamy and infused with as much flavor as possible. 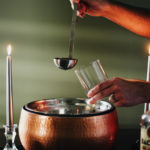 Plus, sous vide cocktails are very trendy right now, so serving this at a party makes for a fun, impressive, and conversational beverage. Watch our video below to see just how it’s done! 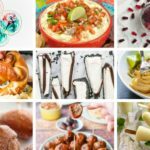 Check out Cuisine Solutions and Sous-Vide Magazine for tons more sous vide recipes and inspiration! Have you ever made a sous vide cocktail before? 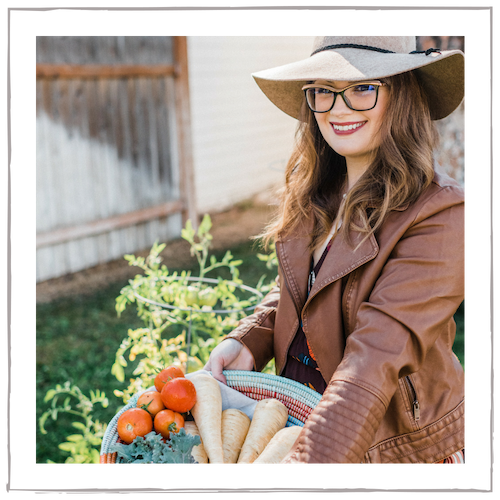 This post contains affiliate links and are always products I use in my own kitchen & highly recommend! Sous Vide Spiked Hot Chocolate is a fun spin on a winter favorite. 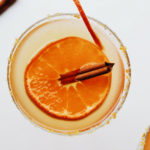 Think outside the sous vide box and create a delicious, creamy cocktail. Make the whipped cream. Using a standing or hand-held electric mixer, beat the cream and peppermint extract to stiff peaks, about 5 minutes. Transfer to the refrigerator until ready to serve. Combine the milk, cream, schnapps, bourbon, sugar (if using), vanilla, and chocolate in a sous vide bag and seal. Cook in a water bath at 185°F (85°C) for 45 minutes, or until the chocolate is melted. When ready, shake the bag vigorously and transfer to a wide-mouth pitcher or glass bowl. Whisk until smooth and combined. 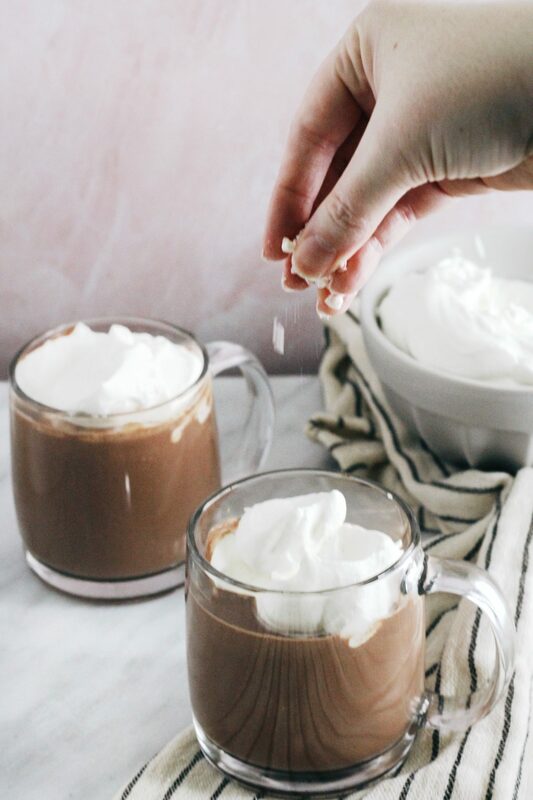 Pour the hot chocolate into serving glasses and top each with whipped cream. 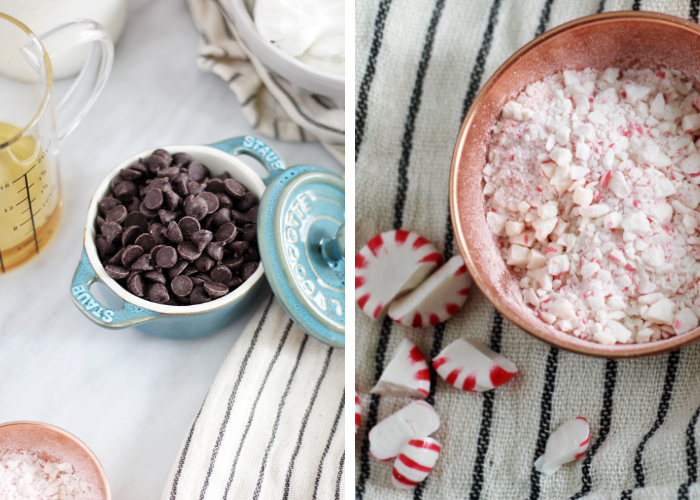 Garnish with crushed peppermint. Does it work the same not spiked? This sounds delicious. I love a good hot chocolate, more so during the cool mornings in South Florida. I love chocolate but it doesn’t help me with losing weight. I’ll just add this recipe to my cheat day foods/drinks. 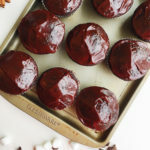 YUUUUM you had me at chocolate – I will definitely be trying this out! I need this! Looks really good!! Spiked Hot Chocolate? Wow! Looks like an energizer for me! I’ll try this at home later. 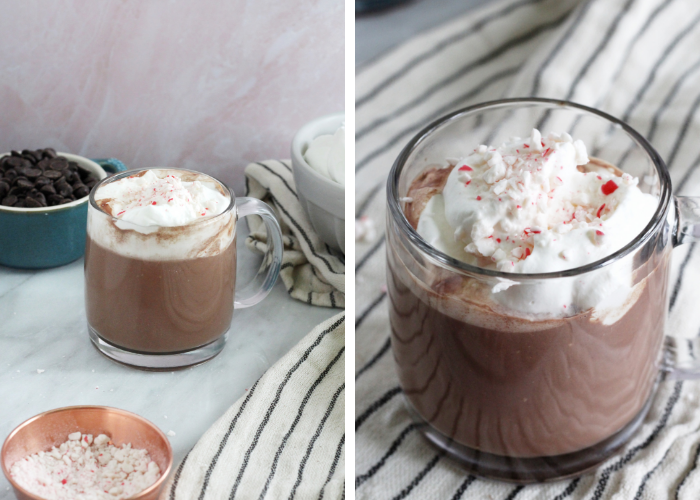 I am not a big coffee drinker so hot chocolate is definitely one of my winter staples! I have never tried sous vide cooking at home. 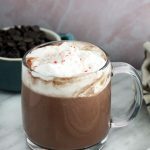 Although coffee is my preferred choice,hot chocolate is my next favorite.Nice informative post. My quick pot has a sous vide feature, but I haven’t used it yet. Now, I am itching to try it out with this delicious recipe! I really, really need to get myself a sous vide cooker. This looks really fun and I am sure it is totally delicious too! My brother in law just got a sous vide, so I have to send this to him so he can make it for us the next time we are over his house. 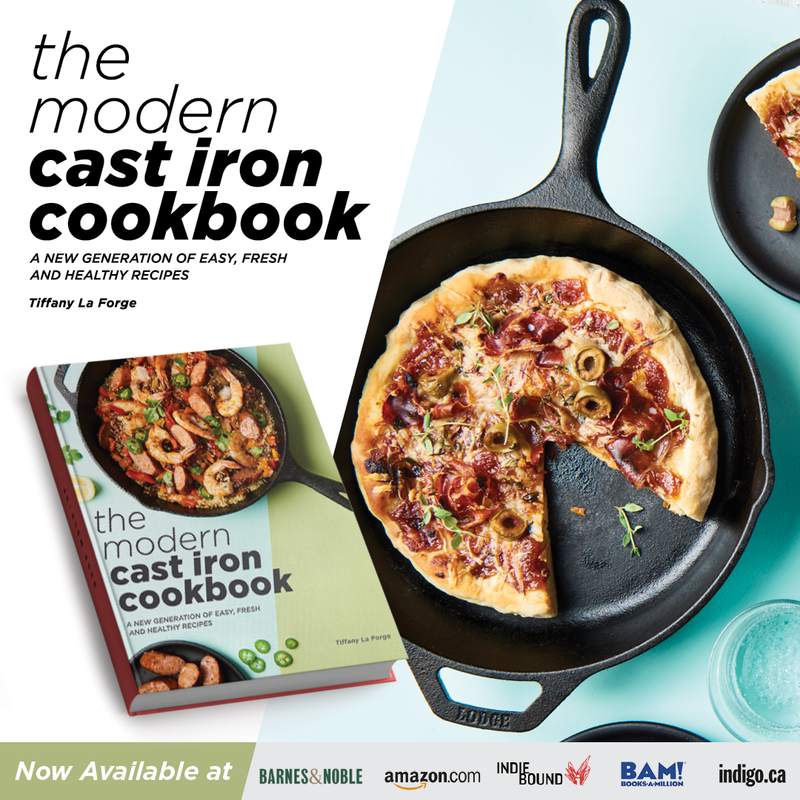 I’ve never cooked in this fashion before, but I would sure like to give it a try! Your recipe looks like a great place to start. Oh my godness. This looks INSANELY delightful! Can’t wait to try it. As someone who doesn’t drink coffee, hot chocolate is my go-to winter drink! Of course, I love to spike it everyone once in a while. I’ll try out your recipe tonight! This looks so good ans perfect for my Valentine’s Day book club. Love the video too. This might be the best spiked drink I’ve ever seen! I cannot wait to try this. It looks so good! This looks crazy delicious — and what a creative thing to Sous Vide! Your photos are amazing. Can’t wait to see a meat recipe using Sous Vide.